JetBlue on Wednesday said it has completed its in-flight Wi-Fi expansion with service now available at every seat across its entire fleet of 227 Airbus A320s, A321s and Embraer 190s aircraft. The airline promised in October 2015 that its entire fleet would receive free 20Mbps Wi-Fi by the fall of 2016; it missed that target date but only slightly. 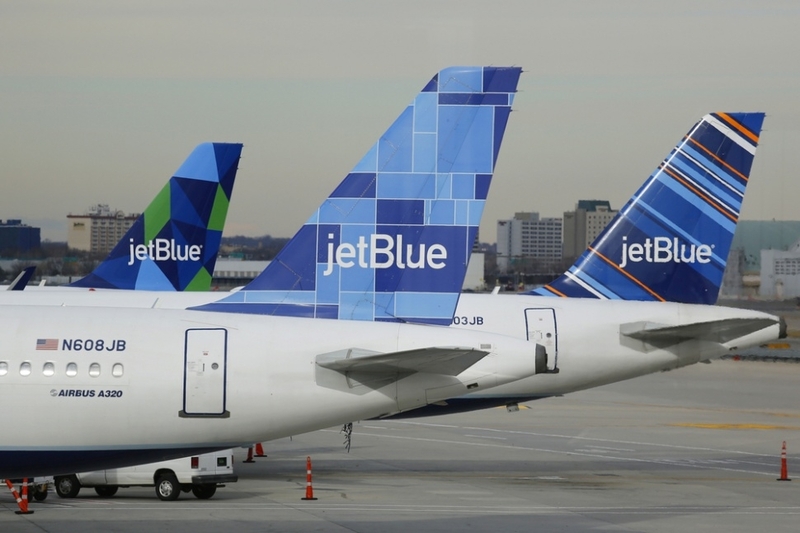 With the rollout complete, JetBlue says it has become the first in the US to offer gate-to-gate Internet connectivity, which it calls Fly-Fi, on every aircraft. Indeed, not having to wait until reaching cruising altitude to flip on electronic devices will no doubt be convenient. Thanks to a partnership with Amazon a few years back, JetBlue customers with an Amazon Prime subscription can log into their account in the sky and gain access to tens of thousands of movies and TV shows. What’s more, non-Prime customers will be able to rent or purchase thousands of titles in the Amazon Instant Video store. Other JetBlue amenities include access to 36 channels of free DirecTV service on E190 and A320 aircraft with more than 100 channels on tap on A321 planes, more than 100 channels of free SiriusXM satellite radio, free “Hollywood blockbusters” on seatback televisions plus all-you-can-eat name-brand snacks.